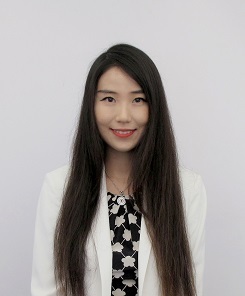 Zhiyu Li joined Durham Law School as an Assistant Professor in Chinese Law in 2018. She received her J.S.D. from the University of California Berkeley, where she served as a teaching assistant for the Legal Research and Writing course. Prior to joining the law faculty, she was a Hauser Post-Doctoral Global Fellow at New York University School of Law. Zhiyu’s teaching and research interests center on public law and comparative law. She writes at the intersection of law and policy, with a particular emphasis on the role of the courts in the administrative state. Her scholarly work employs both qualitative and quantitative methods and has appeared in U.S. and international journals. Her co-authored article on the positive political theory of comparative administrative law received an honorable mention for the Colin B. Picker Prize, awarded by the American Society of Comparative Law. She is also a member of the P.R.C. bar. Zhiyu’s current research examines the role of courts as policymakers in China. An experiment fielded on Chinese judges found that the citation of a sister court’s decision had a substantial and statistically significant effect on judges’ interpretation of a vague legal standard. To further describe the creation and adoption of legal doctrines in China, Zhiyu has also conducted case studies, surveys, and interviews to analyze how prior judicial decisions function as a vector for policy transmission in China. Li, Zhiyu (2018). Innovation Through Interpretation: How Judges Make Policy in China. Tulane Journal of International and Comparative Law 26(2): 327-380. Chen, Benjamin Minhao & Li, Zhiyu (2017). The Foundations of Judicial Diffusion in China: Evidence from an Experiment. Review of Law & Economics 14(3): 1-27. Chen, Benjamin Minhao & Li, Zhiyu (2016). Explaining Comparative Administrative Law: The Standing of Positive Political Theory. Washington International Law Journal 25(1): 87-131.